We’d like to think that the goods on sale in supermarkets and other stores have passed stringent safety tests, but every so often an untested, unsafe product falls through the cracks and lands up in the hands of unwitting customers. These products may cause serious injuries or worse. For manufacturers, they can also lead to potentially devastating product liability lawsuits. Here’s a rundown of some of the unsafe products that luckily no longer feature in shopping aisles. 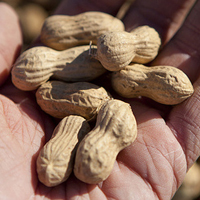 After an outbreak in 2008 of the dreaded salmonella disease, American company Peanut Corp. was found to have been making peanut butter in a factory that was in a nightmarish condition – mould lining every wall, cockroaches and rats running amok and sacks of peanuts contaminated with their waste. The salmonella outbreak may have killed as many as eight people, and it made hundreds sick. The Food and Drug Administration, or FDA, in the United States determined that the company was aware of the contamination and still shipped the goods. The company was forced to order a recall of all its products, eventually leading to it declaring bankruptcy. 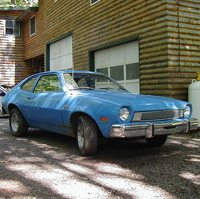 An infamously unsafe vehicle, the Ford Pinto has been out of production since 1981. This is because its engine was seated precariously to the back of the vehicle, where a rear-end collision could easily have led to the entire car exploding. It was decided it would be cheaper to settle any lawsuits arising from the car’s faulty design than it would be to stop production of the car altogether. After several lawsuits and even criminal charges, the vehicle was however recalled. 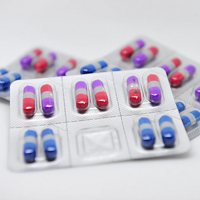 A brand name for paracetamol, Tylenol was widely used to reduce pain, fever and the symptoms of allergies and colds. Then in 1982, 10 people died as a result of ingesting Tylenol pills that had been laced with potassium-cyanide. The product was temporarily pulled off the shelves and given new tamper-proof seals, costing the manufacturer, Johnson & Johnson, several millions of dollars. Several incidents of ear, eye and head injuries were reported thanks to these dangerous little metal-tipped projectiles sailing around gardens. Some subversive companies have skirted the ban on the product by selling the darts and the tips separately. 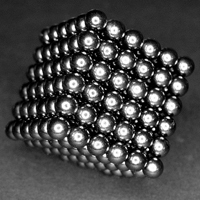 Buckyballs are little metal, magnetic balls, originally sold as a desk toy and used to create sculptures. However, in the hands of the young (or not too bright), they can be deadly. Ingesting them can cause the tiny magnetic balls to pinch and twist the intestinal tract, requiring costly surgical removal. Although there has been a ban on the product since 2010, the company Maxfield and Oberton is still selling them, regardless of the restrictions. Nothing beats snuggling into a pre-heated bed on a frosty winter night. However, before a heat-regulating monitor was installed in the Soiree-brand electric blankets, several cases of minor burn injuries were reported by people who fell asleep with the blankets on. 20,000 of the blankets were recalled, and now nearly all modern electric blankets include rheostats. These measure heat and shut the blankets off before they become dangerously hot.